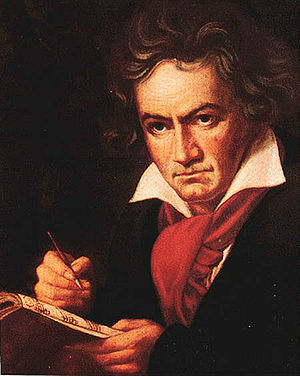 Classical music has fallen into the shadow of rock’s towering popularity over the last fifty years. Nonetheless, I am an unabashed classical music fan and collector. I would love to see this form of high art reclaim the hearts and minds of the world once again. Likely? Perhaps not, but as long as there are orchestras performing, composers writing, and people listening, my enthusiasm shall remain undampened. I know, I know…an orchestra playing a symphony brings to mind tedious affluence, black tuxedos, and glamorized music halls. But forget that stereotypical imagery. You can (and should!) listen to classical music *for the music*: music that will mesmerize, inspire, stagger, and flood you with an infinite variety of feeling and emotion if you give it space to speak, and listen to what it’s saying. Admittedly, music in any genre has this potential; music touches us on a deeply emotional level. However, I argue that among classical’s nearly limitless body of works can be found music that touches us the deepest, the strongest, and the most poignantly. I love classical music as a friend and companion, true – but I love it most of all for how it can make me feel. Special note – not every piece in the world of classical music is a winner; sadly, there are always turds amongst the treasure. You’ve been warned. If you’re interested in classical music but don’t know where to start, I am going to suggest a few recordings from each of the classical music periods where I do most of my listening. Some of these pieces arguably fit in multiple periods, as there isn’t always a clear definition. Will you like them? I have no idea. I can say with confidence that the pieces I’ll mention below are generally representative of the style of the era and are from a major composer. From there, you’ll need to make up your own mind about what appeals to you. Your age and prior musical tastes will have a lot to do with how you react to any of this music. Give it time: if you’ve never listened to classical music before, the format is rather different from a 3 minute ditty conforming to a specific radio playlist. There’s a lot more to take in, and it will take several auditions to hear what’s there. In the interest of full disclosure, I must confess a fervent devotion to string quartets in general, recordings by the Los Angeles Guitar Quartet, large choral ensembles, impressionist-era solo piano, recordings by violinist Nadja Salerno-Sonnenberg, and the works of Ludwig van Beethoven (any and all of them). I am linking to Amazon.com pages of popular classical recordings, often with streaming track samples so you can get a taste of the music. I will eschew my own review of the works, as there are usually plenty of reviewers with plenty of commentary. You should understand that popular classical music works will have been recorded dozens of times in recent decades by a variety of orchestras, ensembles, and conductors. Which recording is “best” is often a matter of personal taste. Don’t agonize over this point, as Amazon music reviewers spend a lot of time talking about little that’s consequential. Some of the recordings I mention are well-known, and others off the beaten path while still being (mostly) accessible. I’m also trying to provide variations in the instruments and forms to avoid boredom. All of these are either exact recordings that I own, or works that I am familiar with if my specific recording is no longer commercially available. Please feel free to comment with your own classical favorites. This is, at best, an abbreviated list to get someone started, as seen from my own point of view. Doubtless, the list could be more complete, but getting even this far took hours. Personally I identify more with the Baroque and Romantic period, plus some of the early 20th century too (Elgar, Holst, etc), but I can listen to just about any of it, even the serialist guys. I always like the Peer Gynt Suite by Grieg. Used to listen to that while studying when I was at school. Havent listened to much lately but every January the Sydney Symphony Orchestra performs an open air production as part of the Sydney Festival, and I try to make it along when I can. Great music… and fireworks! Always a winner with me (even if it does rain!). Like the suggestions from the “traditional” list, but I miss Shostakovich. The 8th quartet is so powerful. Also from the 20th century, why the omission of the Kronos Quartet. Finally, if I had a novice, I’d skip recordings for a while and just bring my friend to live concerts. As far as Kronos, I was more focused on composers than performers, but as it turns out, the Gorecki quartets I listed were indeed performed by Kronos. Generally speaking though, most of what I’ve heard performed by Kronos is such challenging material, that I feel it’s unfair to involve a beginning listener. I’ll note that in the post. The Shostakovich string quartets 1, 2, 4, 7, & 14 are in my collection, but I haven’t spent enough time with them to know what I think yet. At some point, I plan to get all of them as rendered by a group whose approach I prefer and am familiar with. The recordings I have now were inexpensive, just so that I could get some exposure to the music. Favorite for me and I would like to be able to play it one day is Rachmaninoff – Piano Concerto no. 2 ….playing the piano part of course. Anything from the Baroque era or early Classical era is phenomenal study music in my experience. J.S.Bach, Mozart, Vivaldi, Corelli, Cherubini, and others – all favorites. To narrow that down further, I prefer chamber music when studying (smaller ensembles as opposed to full orchestras), and string quartets or quintets in particular. Hi! Learning to appreciate classical music more. Thank you for your post! Curious: how did you come do develop your appreciation for classical? I grew up with it. My father had a large collection, first on vinyl & cassette, and then on CD. Plus, he played a lot of classical music radio in the house & the car. There’s certain classical melodies that once you’ve heard them, they’re with you for a lifetime.